WWE superstar Mike “The Miz” Mizanin is back as American hero Jake Carter in an all-new, thrill-packed Marine adventure! Now in the private sector, Carter is assigned to protect a beautiful whistleblower from deadly mercenaries hired to kill her. 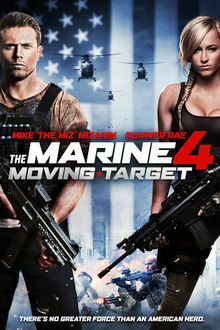 Co-starring WWE diva Summer Rae in her feature film debut, The Marine 4: Moving Target is locked and loaded with explosive action from start to finish!